The title basically says it all. 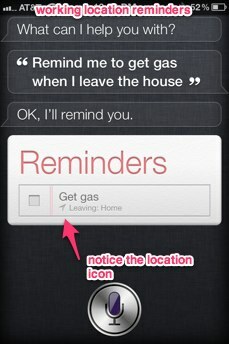 If you can't get Siri to set location-based (GPS) reminders in iOS 5 then it may be because you are using Exchange ActiveSync. 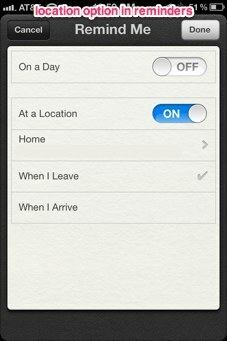 When you setup ActiveSync on the iPhone Tasks was selected by default. 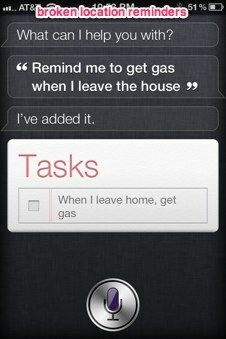 When you do this it disables the location feature in Reminders/Tasks, which in effect disables Siri's ability to create them. 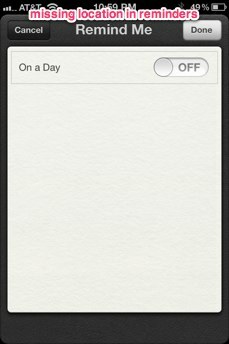 I assume this happens because iOS has to "dumb down" the Reminders to work with Outlook tasks sync, which likely doesn't have a location field that will work with location-based reminders. To fix, disable Task sync for your Exchange account in settings.